Although all social media platforms can be used for different purposes in the recruiting process, it's safe to say that LinkedIn is more professional and business focused, as well as more relevant to recruiting, as candidates can highlight their resume, skills, experience, connections, and general influence in the field. The platform is quickly becoming the choice for professionals to look for jobs and find employment - and for employers when sourcing talent. We've collaborated with Amy Neumann, director of search engine optimization, search engine marketing, and social media optimization at ERC's Preferred Partner, Cleveland.com, to provide 10 tips on how to use LinkedIn to successfully recruit candidates. Employers should create a company LinkedIn profile, keep their profiles updated, share information about their products and services, link to their blog and other social media websites, showcase their employees and testimonials, and highlight their career opportunities. Ideally, employers should also routinely post relevant and engaging content for their followers such as blog posts, articles, videos, and pictures. Encourage candidates to follow your company on LinkedIn, and even allow them to apply directly from your profile, like Coca Cola does. LinkedIn is helpful in providing a fuller picture of a candidate's capabilities versus simply a resume, job application, or brief personal introduction. It can also be effectively used for screening and verifying capabilities, credentials, and skills prior to contacting candidates. You can view a candidate's endorsements, recommendations, education, prior work experience, and interests within LinkedIn. Additionally, according to Amy, viewing the groups in which candidates are involved and their participation in them provides insight into their level of skill, passion, and online influence; and viewing their connections helps you see how well-connected they are in their industry and if you know anyone in common who could tell you more about them and their capabilities. Amy also recommends using LinkedIn’s InMails to personally reach out to candidates. You can use InMail, your internal inbox at LinkedIn, for private messaging with candidates as well as to request assistance from your network or select professionals to find a qualified candidate. Additionally, employers can formally post jobs on LinkedIn to recruit candidates for a fee, or informally post them at no cost within applicable groups and via status updates. Posting status updates draws attention to yourself and your business, and it's an easy way to reach out to your network. Also, LinkedIn groups are an ideal way to source candidates and you can post positions in them. However, some groups limit recruiters from continually posting open positions if they do not regularly interact with and participate in the group. Make sure that you are an active participant in groups in which you want to post jobs. Participating in groups is also a good way to built interest in your organization and establish a LinkedIn presence for your organization as well as yourself. Use the question and answer section on LinkedIn to establish relationships with experts and identify possible influencers to help you fill your positions. Post a question specific to a position or department with regular openings and invite your network as well as those outside of their sphere of influence to answer. 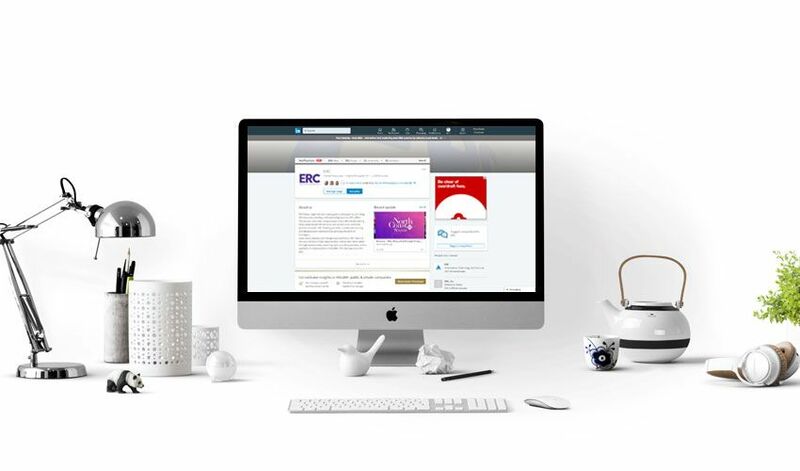 LinkedIn is referral-friendly and contains features that allow your employees to identify who to connect with and suggest candidates as employee referrals. Just ask your employees to look at their networks on LinkedIn. LinkedIn also makes it easy for employers to trace connections between job candidates and employees and to use employees' contacts to source candidates. LinkedIn has advanced search capabilities, including LinkedIn Recruiter, that are extremely valuable for recruiting. Via LinkedIn, employers can search for candidates by past or current employers (such as competitors), job titles, years of experience, seniority level, company size, interests, locations, schools, references from trusted recommenders, and even specific language in profiles. Employers can also search for employees through connections, including first and second connections. LinkedIn is especially useful for finding passive candidates. Approximately 80% of people on LinkedIn are passive candidates, which allows recruiters to find the best talent from a pool of candidates whose qualifications and networks are easy to view and research. Most of the people engaged on LinkedIn are not actively looking for another job, but may be interested if a new opportunity is offered to them. Generally-speaking, LinkedIn is more beneficial within certain industries and for finding professional and salaried employees than non-professional and hourly employees. According to the 2012 LinkedIn Demographics and Statistics, high tech, finance, manufacturing, medical, educational, corporate, consumer goods, recreational, construction, and government were the top 10 industries on LinkedIn. The top 10 job functions on LinkedIn were entrepreneurship, sales, operations, engineering, information technology, education, administrative, support, finance, and consulting. Amy says that organizations can measure their recruiting success through LinkedIn by integrating and tracking the same types of metrics used for other platforms, as well as monitoring where candidates are coming from. This will help provide insight on how effective LinkedIn is as a recruiting tool. And, for organizations that want to use a fancier approach, LinkedIn even has a Talent Brand Index to measure how strong their recruiting is within the platform. These are the major ways to use LinkedIn to recruit, however, LinkedIn continues to evolve with more features, and will undoubtedly become a major source for finding top talent in the years to come. There is a wealth of talent on LinkedIn, and if you are not already using it, you are missing out on its potential for recruiting, so get started using LinkedIn for recruiting, because it's quickly becoming one of the best recruiting sources out there and your gateway to top talent.